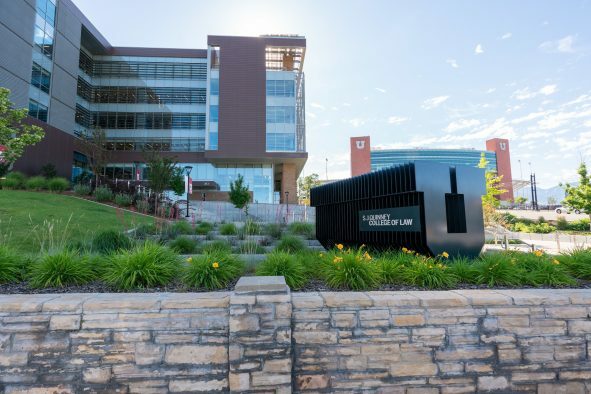 The David Eccles School of Business dedicated the Robert H. and Katharine B. Garff Building, a 150,000-square-foot building that houses the school’s MBA, Professional MBA, Executive MBA and MBA Online programs, on Friday, Oct. 5, 2018. 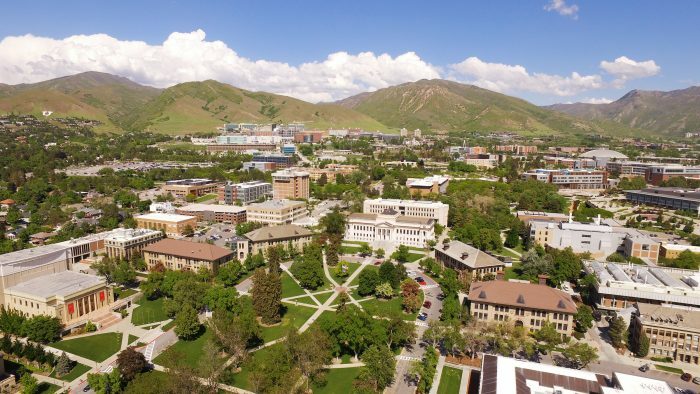 The building also supports an Executive Education Center, an expanded Maverik Business Career Services Center, the Marriner S. Eccles Institute for Economics and Quantitative Analysis and the Gregory J. Goff Strategic Leadership Center. This new building came to fruition because of the generosity of more than 350 donors, led by a $12 million donation from the children of the philanthropic Garff family. The Garff children surprised their parents with the donation and name at a groundbreaking held last year. 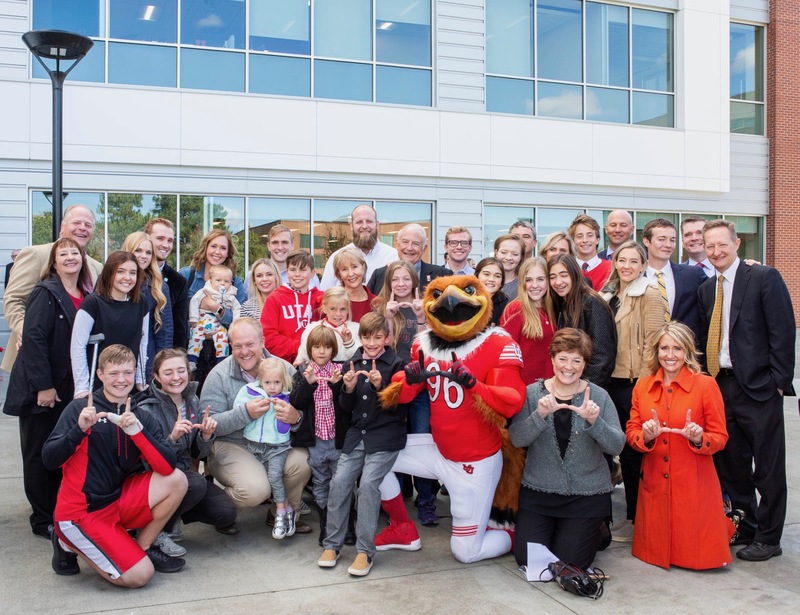 This donation will become a permanent physical representation of the legacy of support the Garffs have provided over three generations for education at the University of Utah and throughout the community. 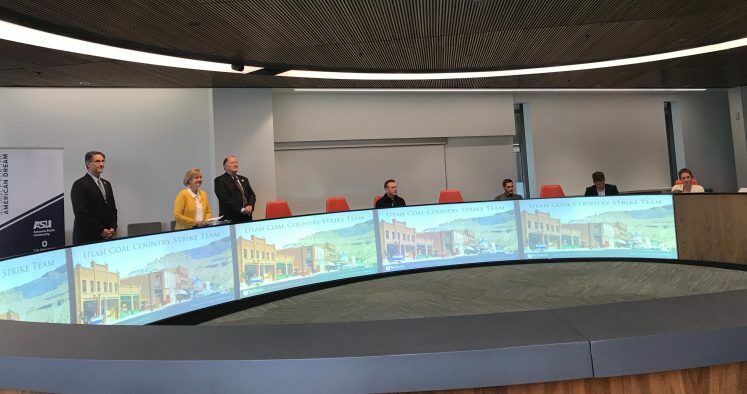 Robert H. and Katharine B. Garff also spoke at the dedication Friday, touting the beauty of the building and plans for artwork from the best Utah artists to be featured in the building in the coming months. Katharine Garff said the building will serve students holistically, providing an exceptional learning space that also spurs creativity and allows students to pursue their creativity and generate innovative ideas. 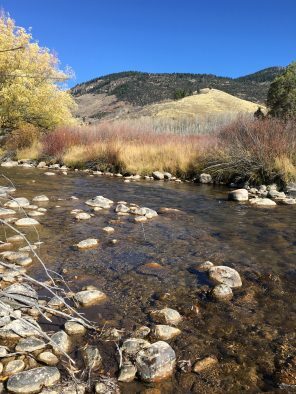 The Garff family has donated to and volunteered at the David Eccles School of Business for more than 40 years, starting with Ken Garff serving on the school’s first advisory board. Additionally, the Kendall D. Garff Building supported business education for years. In addition, the Garff family donated $3 million for a classroom pavilion in the Spencer Fox Eccles Business Building. That legacy of philanthropy continues today. 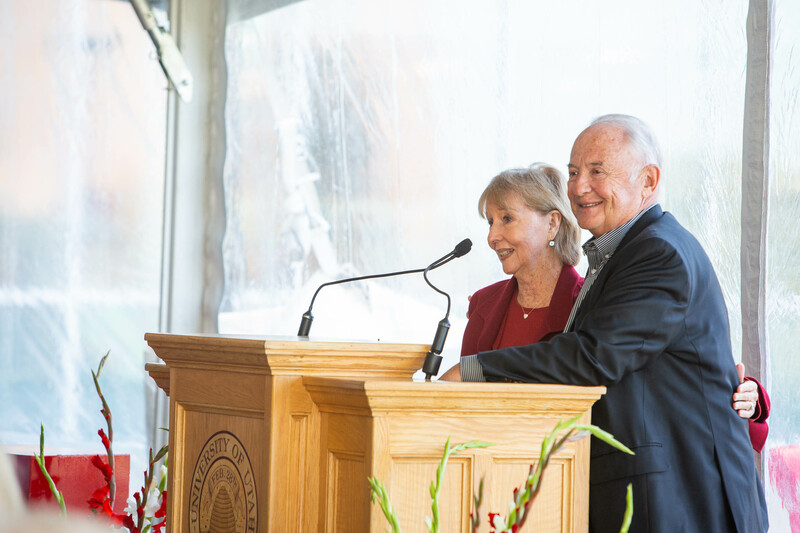 The Robert H. and Katharine B. Garff Building will dramatically expand and enhance the master’s-level business programs at the University of Utah. The newly enhanced Maverik Business Career Services Center will provide students with a multi-year professional development plan designed to provide year-over-year learning in the areas of professional conduct, appearance, career exploration, personal presentation and job acquisition success.